Hunger is a reality and exists in the communities where we live and work. 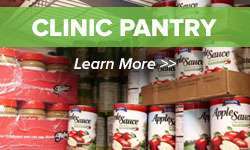 The Corpus Christi Food Pantry, located at 2014 Springdale Road in New Burlington, Ohio, is working to address the need in portions of Hamilton and Butler Counties. The pantry distributes 99,129 pounds of food annually to our neighbors in need, the equivalent of nearly 83,000 meals. Andrew Wood, a husband and father of three who lost his job as a local professor, received temporary assistance from the Corpus Christi Food Pantry until he was able to find employment. You can help support the Corpus Christi Food Pantry’s efforts through the Freestore Foodbank’s 11th Annual Hunger Walk & 5K Run presented by Kraft Foods. 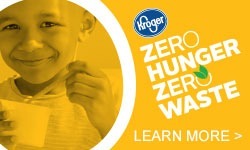 The event, taking place at 9:00 a.m. on Memorial Day, Monday, May 26 at Sawyer Point, helps support the Freestore Foodbank’s network of 275 community partner agencies located in 20 counties throughout Southwest Ohio, Southeast Indiana and Northern Kentucky. 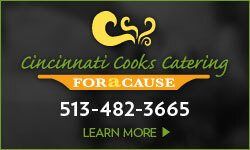 Partner agencies form teams and raise money through pledges of support from their community. Early registration (by Tuesday, May 13) is a $20 entry fee + t-shirt or $15 entry fee. Late registration (after Tuesday, May 13) is a $25 entry fee + t-shirt or $20 entry fee. 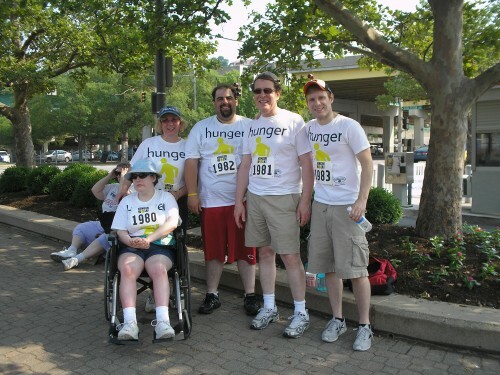 Through the 2013 Hunger Walk, the Corpus Christi Food Pantry raised $1,606, the equivalent of 4,818 meals for our friends and neighbors in need. The pantry’s goal this year is to raise $1,700. To join the Corpus Christi Food Pantry’s team or to donate to its efforts, click here. Or find an agency that serves the community where you live. Online registration is open until 2:00 p.m. Friday, May 23.